Hi there! Today in Songtive we’re going to follow our ‘Learning from the Masters’ series reviewing the legendary Queen classic Bohemian Rhapsody! This worldwide known song has many interesting aspects worth to analyze and to incorporate in your composer’s toolbox. The singular structure, the musical approach of the ideas we’re listening, the combination of classical music elements into a (for that time) modern rock and roll setting; all of it combined to shape one of the most memorable songs ever written! For analysis purposes, the most convenient way to get into it is to get the structure first. 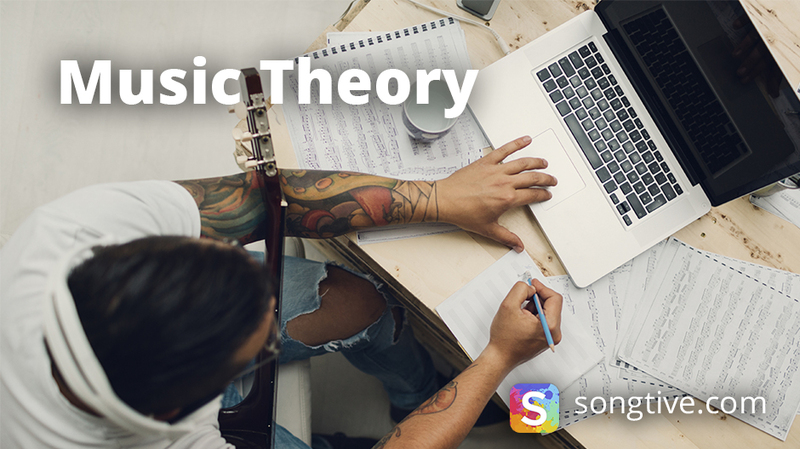 Chord-melody relationship will provide you information on why things sound appealing to our ears and are via chord tones and melody’s notes that this relation is established. Released in 1975 as one of the lead singles from their A Night at the Opera album, the song stands as one of the most emblematic rock icons of the last 40 years! And much of its success can be owed to Freddie Mercury’s outstanding songwriting work on it. First things first: the thing that makes Bohemian Rhapsody a timeless classic is its structure’s complexity. The song departs from the common verse – chorus – verse – solo – chorus formula, and it is set as more of a musical suite than anything else. That is, the song is planned to tell a story through multiple musical episodes, each one approaching a particular point of the main character. Let’s check it out! At 0:05 starts the memorable introduction of Bohemian Rhapsody and it goes to 0:53. It presents the character and something that would be a recurring element throughout the song: an a capella choral arrangement (made entirely of chord tones) and the theme of the poor boy in trouble, which is the principal argument of the song. The main pieces of what Bohemian Rhapsody are established during this introduction section. Lessons: Intro section needs to set the mood of your song, so keep it soft and with few instruments to make it a ballad. The first verse starts at 0:54, the piano accompaniment pattern is established and will last the whole song, using the following chord progression: Bb – Gm – Cm – F. This can be read as I – vi – iv – V. We can hear the piano and electric bass supporting the melody Freddie sings, so the intention is to keep it subtle, as it is the story of an incident. The mood is that of a slow ballad. Lessons: Using sparse writing, like arpeggios, chord tones for the bass and subtle-to-non percussion is useful to set a light mood for your ballads. At 1:24 begins the bridge, a section that will be used as a transition point between verses. Roger Taylor’s kits start here, to add motion and intensity to the song, as the melody goes higher. Note how the melody descends as Freddie sings “carry on, carry on”, adding more meaning to the fateful phrase. Lessons: Enhance the emotional range of your melodies by placing them properly. Use middle-range melodies to establish the mood, ascending lines for stronger emotions and descending ones to release the tension of the moment. Starting at 1:53, the second verse explains what is going on in the poor boy’s head as he has to face the consequences of his actions. Note how the same pattern is repeated: the piano+bass accompaniment, followed by the drums. Now, instead of a sung bridge, we get the same chords with a new addition: the first guitar solo. Starting at 2:40, the solo serves two purposes for this song: as the close of the first section, exposing the situation (how the boy murdered someone) and the unforeseen consequences (the boy dealing with it by writing a letter to his mother). The second function is to serve as an interlude for the beautiful and legendary a capella choir that follows, in four-part harmony! We hope that you have enjoyed the first section of Bohemian Rhapsody and got some great ideas from it using our lessons! In the following article, we’ll get deeper in the interesting a capella section and the exciting second half of this timeless rock classic!